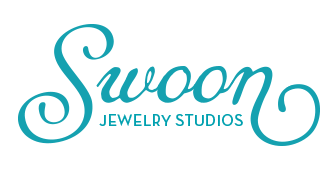 Swoon Jewelry Studios, handmade jewelry to celebrate your life, encourage you to thrive, and inspire you. Founded in sisterhood and a love for adorning women, Swoon is a dream realized for owner Sahra Cahoon. We believe that jewelry can make you feel beautiful, courageous, confident and even whimsical. Handmade jewelry is all we do; from dreaming up designs, to cutting, hammering, polishing, and stone setting; we pay attention to every detail along the way. Creating design statements and story pieces for your life. 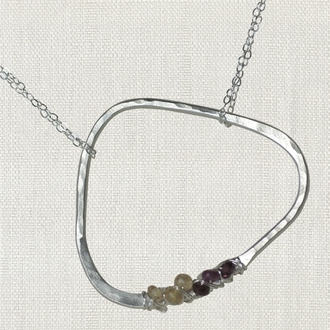 Our Abstract Life Circle Necklace comes customized with birthstones of your choice. 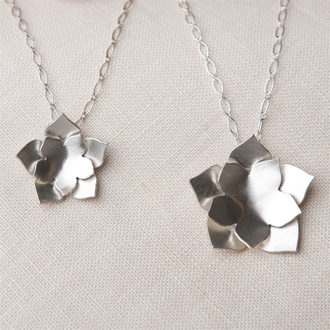 The centerpiece is hand forged from a flat piece of sterling silver to represent each person's unique life. Life is continuous, ever changing, and there is beauty along the way if you look for it. In many cultures the lotus is a symbol of purity, enlightenment, self-regeneration and rebirth. ﻿Every mama loves a little touch of luxe. Our solid fourteen karat gold necklace is a beautiful way to celebrate your family. Thick solid gold discs are hand stamped with children's names, dates, or words of your choice. ﻿Signet rings have historically been designed to make an impression in wax to seal important documents or letters. 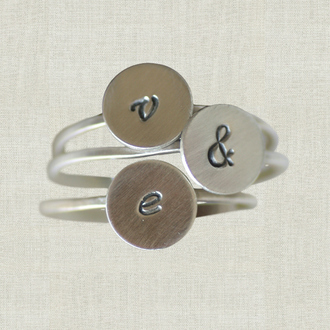 These modern initial rings can be worn single or stacked to symbolize all your loved ones. Each ring is custom made to your specifications. Signet Rings with custom monogramming celebrate engagements, marriage, holidays, births, anniversaries, graduations, and all of life's happy moments. ﻿​When a child is born so is a grandma, and forever your life will be changed. 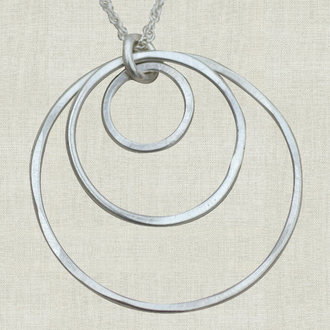 Three hand forged circles dance within one another symbolizing the interconnected love of a grandmother, mother and child. 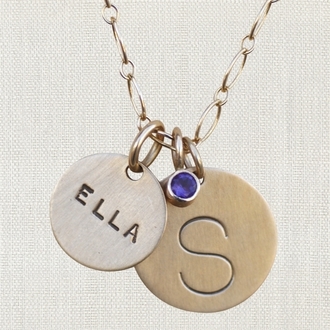 Our Grandmother's Generations Circle Necklace is a lovely gift for any new Nana, Bubby, Gigi or Gram. A manly design to celebrate your family. 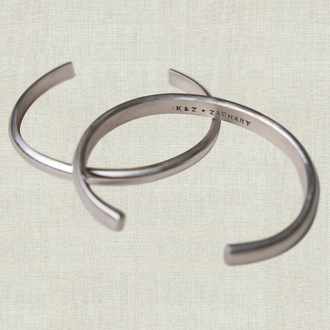 Show him how much he means to you with our handsome sterling cuff bracelet. Our handsome half round cuff bracelet is hand stamped with children's names, dates, secret messages or quotes. Made to fit an average man's wrist. The above is just a taste...view the entire Swoon Jewelry Collection.